Michelle Bigley, author of Explorer’s Guide Kauai, has really gone out of her way in Backroads&Byways Hawaii, taking on Hawaii as a whole. Exploring the little-known sides of all the islands, she provides out-of-the-ordinary itineraries, all including lodging and dining highlights, to make your trip memorable. 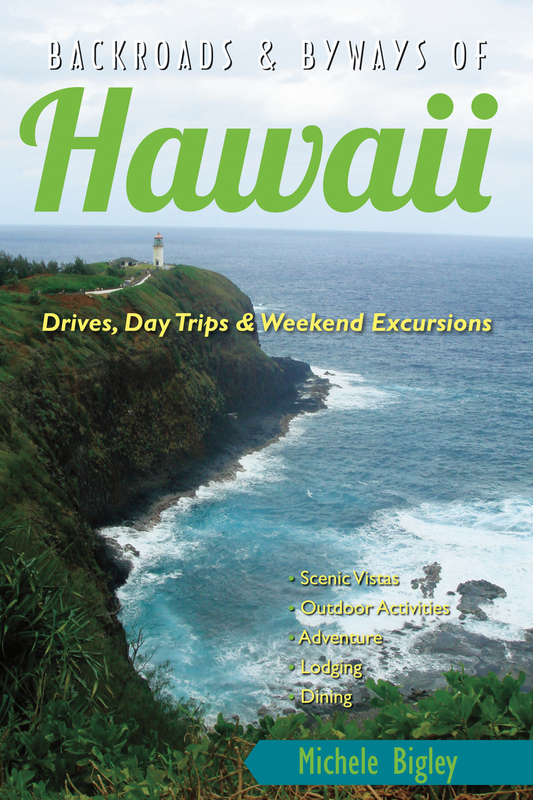 Each chapter offers itineraries focused on themes,among them Historic Big Island; Under-the-Radar Oahu; Maui for Foodies; and Haute and Haunted Lanai. Chapters cover not only the must-see destinations for each island but also the less-traveled roads, like the back road from Hana to Haleakala on Maui, or routes through the Windward side of Oahu. With expert advice on inter-island hopping to keep the budget reasonable, like economical direct ferry routes that also have far more local appeal. See the real Hawaii! World traveler and longtime San Franciscan, Michele Bigley has written about her travels for over a decade. Her wanderlust has taken her to over thirty countries and almost every state in the US. She is the author of Explorer's Guide Kauai: A Great Destination and Explorer’s Guide Northern California, as well as innumerable fiction pieces and travel articles.